Sergeant Humphrey Johnson (1620-1692) - Don't Mess Around with Him! My 9X great grandfather Humphrey Johnson arrived with his parents Captain John and Margery Johnson as part of the Winthrop Fleet, landing at Salem, MA on 22 June 1630. He had not yet celebrated his 10th birthday. Brother Isaac, a few years older, was probably entrusted with keeping an eye on him aboard ship on the crossing from England to America. The main troubles for children were cold and seasickness; a game involving a rope (perhaps tug-of-war?) reportedly helped with both. 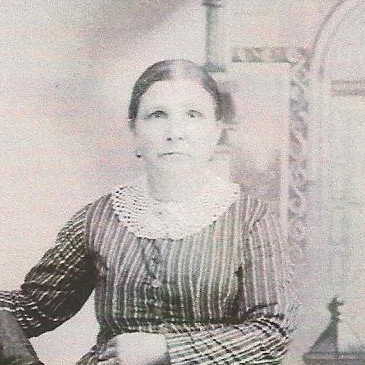 Younger sister Sarah would have completed the family group at the time of the crossing, though three additional siblings were later born in America. Humphrey's father John was very active in the new Massachusetts Bay Colony community at Roxbury. He was made a freeman there on 18 May 1631 and served on many juries and committees, acted as Surveyor laying out the bounds of towns around Boston. He was the first clerk of the Ancient and Honorable Artillery Company of Roxbury. He was chosen for 22 years to be Roxbury's Deputy to the House of Deputies. Later in life, John was awarded 1000 acres of land as thanks for his community service. His position as Surveyor General included taking care of the arms and ammunition of the community; at one point his house burned down with the Colony's stock of gun powder. That must have created much excitement and consternation for the family! Captain John's fine community service should have provided an excellent role model for his sons. By the time Humphrey was in his early 30's he had moved from Roxbury to Scituate, MA. Samuel Deane in his History of Scituate, p. 296, says of him: "Serj. Johnson was a capable man in pulbick affairs, and often employed in Town business, in the early part of his life: but he had an uncommon inclination to law suits, and few men have left on the records of the Court, so many evidences of his litigious disposition." Deane goes on (pages 296-297) to describe some details. First, Humphrey was fined 5 pounds in 1673 for removing a land mark and "for the boldness and insolency in coming into this Government to do this act." That same year, he was ordered to remove his dwelling and cottage erected within the town of Scituate within a month or an order would be given for removing it. This was the result of his coming into the Government without leave of the Governor and two Assistants (contrary to law). No record could be found that would indicate why Humphrey was so upset with the Town in the first place. Although an obviously-aggrieved Humphrey had moved his residence from Scituate to Hingham about 1673 (probably in the month following the above order! ), he commenced an action in 1683 against the Town of Scituate for three shares in the common lands. Although the Town considered his change of residence to have cancelled any such right, Humphrey won and lands were set off to satisfy the execution. Still not satisfied, he complained in 1687 that he hadn't had all his rights in Scituate. The Town felt his rights had all been satisfied (although they still felt he should not have won that 1683 suit). Nevertheless, Humphrey won again and Governor Andros furnished him with a warrant so that Humphrey could take a surveyor and lay out an additional 100 acres at the head of Dudley's lot, 100 acres at Burnt Plain and 100 acres at Halifax cedar swamp. The Town protested to the Governor that much of this land had already been claimed by others and that "Johnson had already been accommodated with thrice sixty-five acres to the full amount of his claim as principal and successor to two others." It seems Humphrey never got these lands after Governor Andros was tossed from office. There was an area thereafter known as "Johnson's swamp" which was in remembrance of Humphrey's trespass on part of those lands and for which the Town eventually recovered damages from him. Humphrey must have finally felt revenged for whatever slight had started the whole fiasco. In Hingham, the only records for him involve his community work on committees. His first wife Eleanor had died in 1678 amid his legal battles and he married Abigail Stansfall and had a couple more children with her. Humphrey died 24 July 1692 in Hingham, MA at the age of 71. The story of my 11th great grandfather Edward Lewknor provides a cautionary tale about wishing for a prominent life at court. Better, perhaps, to be an obscure farmer (like the majority of my ancestors) than to find oneself caught up in the political intrigue often surrounding more prominent lives. In the case of Edward Lewknor, the intrigue occurred during the rancorous and bloody aftermath of the break from the Roman Catholic Church by England's King Henry VIII (1491-1537). First, to set the stage: A very simplified recollection of Tudor history centres on Henry VIII's desire for a male heir. His first wife, Catherine of Aragon, had produced a daughter Mary but not the male heir he desired. (Of course we now know that it is the father that determines the gender of his offspring, but Henry placed the blame squarely on his wives.) In order to marry his second wife, Anne Boleyn, he broke from the Roman Catholic Church and started the Church of England so that he could obtain an annulment of his first marriage. However, Anne also suffered miscarriages and produced but a single living child, daughter Elizabeth. The marriage to Anne was also annulled. After Anne was beheaded, Henry went on to marry Jane Seymour who did produce the desired son, Edward. Now to get to Edward Lewknor's place in all of this: Edward was born about 1517 at Kingston Buci (now Kingston by Sea), Sussex, to another Edward Lewknor and his wife Margaret Copley. 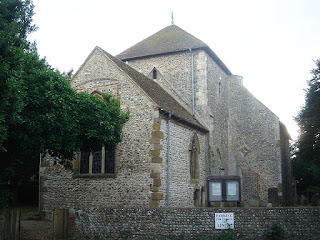 St Julian's Church, Kingston Buci, Shoreham-by-Sea, Adur District, West Sussex, England. An 11th-century parish church in the ancient village of Kingston Buci, now the suburb of Kingston-by-Sea in the urban area between Southwick and Shoreham-by-Sea photo on Wikimedia Commons courtesy The Voice of Hassocks. Both parents came from prominent families with ancestral links to royal and noble families. His father had served in the court of King Henry VII and King Henry VIII. A few years after the death of the elder Edward in 1528, Robert Wroth, one of the co-executors of the will, became young Edward's guardian. Edward had been left estates including Hamsey, East Sussex which would mature for him in 1542. Robert Wroth had a son Thomas Wroth of a similar age to Edward. The Wroth household were Protestant sympathizers. Robert Wroth was a friend of Thomas Cromwell and from 1534 shared with Cromwell the stewardship of Westminster Abbey. On the death of his mother Margaret, Edward came into possession of the manor of Kingston Buci. In 1553 young King Edward VI granted him the manor of King's Barns (in Upper Beeding) and another estate called New Park (in Lower Beeding), Sussex. Edward was elected as a Member of Parliament for Horsham in March of 1553 but lost his seat when Queen Mary came to the throne later that year. Mary, of course, was intent on returning England to Roman Catholicism and history reveals the methods she employed to have been very "bloody". During her 5 year reign she had some 280 people burned at the stake. Wyatt's Rebellion in 1554 resulted from Mary's decision to marry the Catholic King Philip II of Spain (and likely breed a family of devout Catholics to ensure Catholic succession to the throne). Lewknor was not implicated in this failed plot but because of his wife's family ties to Sir Thomas Wyatt's wife, there were suspicions about his loyalty. His wife's brother Thomas Wroth was not so fortunate, but did manage to escape to France where he remained in exile. Some 90 nobles were executed, including Wyatt himself, Jane Gray and Guilford Dudley. Two years later Edward Lewknor was to find himself entangled in a new web of intrigue in an affair known as the Dudley Conspiracy. This was another unsuccessful attempt to depose Mary and replace her on the throne with her half sister Elizabeth. With his brother-in-law Thomas Wroth still in exile, there is no doubt that Edward was in communication with Protestant dissidents. He complied with a request to use his position in Queen Mary's court to obtain a copy of Henry VIII's will in the hope that it would prove Mary's ineligibility to hold the throne. It was also said that he held meetings both in London and at his home in Sussex with other sympathizers. There was even some talk of a plot to kill the Queen during a card game. All of this culminated in his being taken to the Tower of London on 6 June 1556. Nine days later he was tried at Guildhall and found guilty of treason. He was among those whose sentences were deferred and he might well have ultimately been released. However, his health failed during his imprisonment. Wife Dorothy and one of his daughters had been allowed to look after him in prison, but he died in the Tower on 6 September 1556 and was buried in the Tower Precinct. His final request was to ask for Queen Mary's forgiveness and for her to spare his wife and children. This she did, quickly restoring to widow Dorothy Lewknor the properties at Kingston Buci and Hamsey. Son and heir (yet another!) Edward Lewknor was restored in blood in 1559 and went on to become a leading Puritan Member of Parliament during the reign of Queen Elizabeth I.
DNA analysis (both Y chromosome and autosomal matches for a number of Idella's father's extended family) has led me to the family of George Adam Saum and his wife Susannah Henderson. I have not as yet been able to pinpoint exactly which of three of their sons is the biological father of my grandmother's father Charles Edwards, but it is most likely one of the two who lived conveniently nearby in Iowa at the relevant time - Stephen Adam Saum or older brother George Thompson Saum. Not surprisingly, I have not uncovered a paper trail to confirm this connection, but the DNA evidence is quite persuasive. 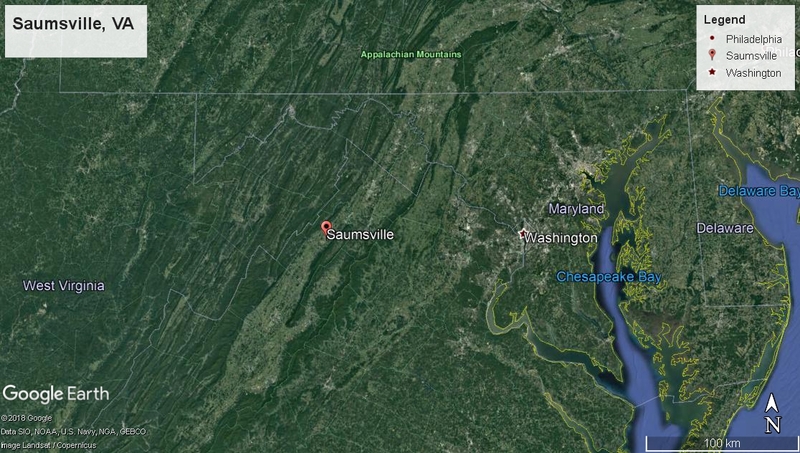 George Saum was born in Saumsville, Shenandoah, Virginia on 23 March 1797 to Frederick Saum and Catherine Caley. The Saum(s) male line can likely be traced back to the Rhine Valley of what is now Germany. The Caley family had deep roots in Ballaugh on the Isle of Man. George's parents had married in the Shenandoah Valley in 1794 and their first three children were born there. By 1809, the family had uprooted and left for Newmarket, Highland County, Ohio. It is not known whether they traveled there on Zane's Trace road, but it is likely. The Ohio River and canals built early in the 19th century added to the transportation network to Ohio as it opened up for new settlers. On 4 November 1819 George married Susannah Henderson in Highland City, Highland County, Ohio. George can be found in Ohio in the 1820 and 1830 United States Censuses. He and Susannah had a family of seven children, 4 sons and 3 daughters. The eldest son, Charles Frederick, lived out his life in Kansas. Son Jacob died in 1861 (8 years before Charles Edwards was born). Two of the sons, George Thompson and Stephen Adam, moved to Jasper County, Iowa (near where Charles would be born). George Adam Saum died in Highland County, Ohio at the young age of 39. Susannah was born 21 January 1805 in Fairfax, Virginia. Her parents were Nathaniel Henderson and Mary Thompson. Susannah's Henderson and Thompson ancestors had deep roots in Virginia dating back at least to the very early 1700s. Susannah's family would no longer be living in Fairfax at the time of the historic Battle of Fairfax Court House in 1861, but the Court House shown in the Wikipedia article would have been a landmark in their day. When she was only about 5 years old, her family moved from Virginia to Ohio. What an adventure that must have seemed to young Susannah! She wasn't yet 15 when she married George Saum on 4 November 1819. Their first child, son Charles Frederick Saum was born in 1822 and she would go on to give birth to another six children. Susannah died on 8 April 1855 at the age of 50 at Clark, Clinton, Ohio. Christian Hoover was born 6 October 1809 in Armstrong, Pennsylvania, to Christian Hoover and Maria Barbara Harmon. The family had roots in Pennsylvania and perhaps Maryland dating back well into the 1700's. When he was 23, he married Mary Green in Cowanshannock, Armstrong County, PA and the couple made their home at Plum Creek, Armstrong, PA until 1856 when they moved with family to Illinois, then to Iowa and finally to Kansas. Christian and Mary had a family of 9 children between about 1834 and 1849. The eldest was daughter Barbara Hoover who was my grandmother Idella's paternal grandmother. The family seemed to be a close one as shown by how often they were living with or near one another in the various census records. Christian and his wife Mary were both listed as doctors in the medical listings at the time. Both were of the "eclectic" school, meaning they were not formally educated in medicine but were self-taught and simply hung out their shingles, she probably as midwife and he as a general physician. There is some evidence that Christian was a staunch abolitionist which may have precipitated his unwise move to sign up in Company C, 11th Illinois Cavalry for the Union at the start of the Civil War. He was 52 at the time, but shaved 10 years off his age when he enrolled. His war career did not last long and he returned home with serious health issues as a result. More details about his war experience can be found in this blog story about my Civil War ancestors. The agony that he endured for years after his Civil War service eventually resulted in the tragic ending of his life by suicide in 1897 when he was 88. Mary was born 4 September 1812 in Muncy Twp., Lycoming Co., Pennsylvania, USA. Her father was Ezekiel Green and she had 8 siblings. In the 1830 census, father Ezekiel is in Plumcreek, Armstrong, PA. He is between 40 and 50 and has 2 males living in his household (one under 5 and one between 5-10). His wife (unfortunately not named) is between 40 and 50 and three females are aged between 15 and 20 and one between 10 and 15. There is a Samuel Hoover family two households away from him on the census form and Christian Hoover is listed next. Proximity led to Christian and Mary marrying on 15 August 1833 at the home of her parents. Mary's life would not have been an easy one. She raised a large family and often had grandchildren living with her as well. The family moved frequently and no doubt she would have set up home over and over again. She acted as a midwife and is found in the list of Kansas doctors. She was left home when her husband decided to sign up for the Civil War and then she would have had to nurse him through his years of ill health after he returned. In the meantime, she was going blind (I cannot help but wonder if the macular degeneration disease found in so many members of the family is what caused her to lose her sight.) Finally, she lived on in penury after her husband's suicide. Fortunately, her son Professor Samuel Hoover took her in and would have cared for her in her last years. She died at the age of 95. More details about Mary's life can be found in my blog story about her. Stephen Henry Wescott was born about 1809 in Butler, Wayne County, New York to parents Stephen Westcott and Elizabeth Carver. The Wes(t)cotts can trace back to immigrant ancestor Stukely Westcott who arrived in Salem, Massachusetts Bay Colony in 1635 and was one of the original founders of Providence, Rhode Island. The Carver line can be traced back to families who had arrived at Plymouth aboard the Mayflower in 1620. Both sides are steeped in early New England history. The Wes(t)cotts tended to be quite prolific: Stephen had 12 siblings. On 2 December 1830 he married Catherine ("Katie") Barton. Stephen and Katie went on to have 11 children themselves, including my great great grandfather George Garner Wescott. The first 6 children were born in Butler, Wayne County, New York and the family can be found there in the 1830 and 1840 U.S. censuses. By the mid 1840's, Stephen moved his growing family to Wisconsin. The first town meeting of the Town of Farmington (renamed from the Town of Clarence) was held at his home 5 April 1848; at the meeting, he was elected as an Assessor and later that year as a Justice. All early town meetings were held at his home. Stephen is named in at Farmington, Washington Co., WI in the censuses of 1850, 1855 and 1860 but by 1870 was located at Kaukauna, Outagamie, Wisconsin. Like so many other American families, the Wescott family participated in the Civil War (1861-1865). On 1 October 1881, Stephen applied for a civil war pension based on son Carver Wescott's Civil War service and death. Son George Garner Wescott had also served in the War; he was in Co. D, 12th Regiment, Wisconsin Volunteer Infantry, and survived (fortunately for those of us descending from his children born after the War!) Another son, Barton had served in Co. K 1st Regiment Cavalry, Wisconsin Volunteers, and happily also survived. Stephen died in 1889 and was buried in Kelso Cemetery at Kaukauna, Wisconsin. Catherine was born 30 August 1812 in Wayne County, N.Y., to Isaac Barton and Margaret ("Abba") Vought. Katie's Barton ancestors were found in Westchester County, New York state since the 1600's. Her mother's Voughts were in Peekskill, Westchester County but had originated in Holland (Reusel-de Mierden, Noord-Brabant, Netherlands). Katie moved along with husband Stephen from New York to Wisconsin and raised their large family of 11 children. With at least 3 sons serving in the Civil War, she must have worried about them and then mourned the loss of son Carver (aged about 19) but rejoiced when sons George and Barton returned home to their families. In 1880 she made application for a mother's Civil War pension resulting from service and loss of son Carver. She died 9 October 1880 and is buried with Stephen at Kelso Cemetery, Kaukauna, Wisconsin. 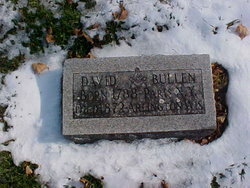 David Bullen, the son of John Bullen and Mary Whitcomb, was born in Clinton, Oneida Co., NY in about 1788. His ancestors were early New England immigrants who came from various parts of England, settling in Massachusetts Bay Colony in the 1630s. His father John Bullen served in the American Revolution. After the War, John participated in the uprising known as Shay's Rebellion. To avoid capture and prosecution, he fled with his family from Massachusetts to Clinton, NY. His pregnant wife Jane gave birth to a daughter en route, supposedly under a bush. It was about a year later that son David was born, no doubt in more comfortable circumstances. David's first wife died quite young, and 35 year-old David then married Jane Murdie. An excellent resource for details about David and the extended Bullen family is a collection of stories and letters amassed in the 1930's by descendants Myrtle Bullen Nelson and Ruth Dunlop called "Source Book for the Bullen Family". Some family members alive at the time remembered David and were able to provide such details as the fact that he had "reddish" hair up to old age. We also learn from them that David Bullen moved his family west from New York in 1836. (However, this is called into question by the appearance of the family in the 1840 census for Oswego, New York.) His brother John Bullen was the instigator of the move by several families to Kenosha, Wisconsin. Apparently, David made the journey overland in the winter in a covered sleigh. His family followed by boat, "The Michigan", owned by brother John Bullen. At Milwaukee the boat drifted ashore in a storm. From there they proceeded by wagon. David also had a farm near Paddock's Lake in southern Wisconsin. The family moved to Washington County in 1850. By 23 July 1860, David was 70 and a farmer, but Jane has passed away. David's real estate is valued at 1500 and his personal estate at 280. When the next US Census was done ten years later, David was said to be 84 and living with daughter Jane and her husband Nelson Hull and their 4 children at Fond du Lac, Wisconsin. A letter from daughter Jane Hull in Arlingtonbury dated 5 August 1872 in the "Source Book for Bullen Family" to "Dear Sister and Brother: - It is with a heavy heart, that I seat myself to write a few lines to you. Our poor father is no more. He died last Monday afternoon. He was taken sick the Wednesday before. Win sent for the doctor. He came and called it the typhoid fever and said the chance for him was very small. They done all they could for him but could not keep him. His work was done. He was called and must go. Gladly would we have kept him, but not our will but His be done. He has left this world and gone to a better world where he will not have to say any more, "I am sick." May we all be so happy as to meet him, and her that went before him. Little did we think when Mother died that he would live 14 years. It was a little over 14 years. I have forgotten the day of the month that she died. . . . He died in the afternoon the day before we got here. All I could see of Father was his cold form. His funeral was Wednesday at the school house. . . . I will send you some of father's hair." Mitochondria are the tiny energy-producing bodies located in almost every cell in our bodies. Each contains mitochondrial DNA (mtDNA) which is passed almost unchanged from mothers to all their children. Only daughters pass that same mtDNA on to all their children. As Jane is my direct female-only line, my mtDNA is Jane's mitochondrial DNA. The only mtDNA test done to date was through National Geographic several years ago indicating that the haplogroup inherited from Jane was called H2a1, a group most closely linked to southern Scandinavia and Russia. Jane was born 31 January 1801 in New York. She was said to be of Scottish origin, making one wonder if perhaps her female line generations back might have moved across the North Sea from Scandinavia. A more thorough mitochondrial DNA test might be in order! The "Source Book for the Bullen Family" contained the following reference to Jane's parentage provided in a letter dated 19 October 1935 from Americus Vespucius Brown (son of Mary Bullen and John Brown, a grandson of David and Jane's) to Eva Bullen: "Mother was born in Hannibal, NY. Her mother was Jane Murdy. Her grandmother and she who was her mother came west from NY and settled in northern Illinois with their people. Her grandfather came later as he was a breeder of fine horses - bringing some blooded stock. When he got where they were he wanted to see farther west so he hitched up a team and started out. It was the last seen or heard of him. It was always supposed he was killed by the Indians for his team." Notes from the "Source Book for the Bullen Family" in the handwriting of Mrs AH Nelson: "My grandmother's (Jane Murdy) father died and her mother married a Mr Chambers who was the father of Kate and Mary Chambers." I had always, perhaps mistakenly, taken that to mean that Jane's mother married a widower with two daughters, but other family members believe that Kate and Mary Chambers were actually Jane's half sisters. If so, Jane's mother would have been Jane Daviddson, another link back on our mtDNA chain. In 1823 Jane Murdie married widower David Bullen in Hannibal, Oswego, New York. She was said to be just 16, which would have put her birth at about 1807 instead of 1801. She and David had 8 children, spaced two years apart, between 1824 and 1838, the youngest being my great great grandmother Sarah Catherine Bullen. All of the children were born before the family's move from New York to Wisconsin. You may recall that husband David went ahead first and Jane followed with the children by boat owned by her brother-in-law John Bullen. When that boat drifted ashore in a storm at Milwaukee, Jane must have been terrified for the fate of her children. But all survived the ordeal and carried on by wagon to join David. 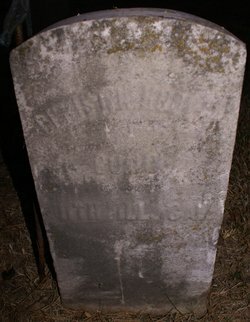 Jane died about 1857 or 1858 in Wisconsin. No record has been found for her burial location. Here is a link for another story about Jane Murdie. All 32 of my third great grandparents have been identified. They were born in the period of about 1760-1815. 3/4 were Scandinavian and 1/4 were a mixture of British and western European ancestry. On my Dad's side, all were born in Norway; it was mainly their children who would become immigrants to the United States. On my mother's paternal side, my Swedish third great parents were born in Sweden but died in America; the Norwegians were born and died in Norway. It is my mother's maternal line that has been in America the longest, many since the 1600's; as a result, all 8 of those third great grandparents were born and died in the United States. As with all families, stories of hardships abound. Emigration across the Atlantic Ocean in steerage would have posed many challenges on top of the emotional upheaval of leaving family and friends behind. Life in Scandinavia at the time was not easy either and helps explain the allure of moving to a different place to start a new life. Those already in the United States had challenging tales of the Revolutionary War, Shay's Rebellion and the Civil War. All 16 of the women had few choices in their lives. They were expected to marry and raise families, and this they did, generally producing large families with babies spaced just about two years apart. There were few luxuries and everything had to be created by hand, whether a new home built in the wilderness or clothing for all the family members. Happily, all 32 survived to produce children so that their descendants can count themselves very fortunate to enjoy the lives we have today. My maternal grandfather Ingwald Theodore Anderson had 25% Swedish and 75% Norwegian ancestry. Of his 8 great grandparents, six were born, lived and died in Norway while two were born and raised their family in Sweden but emigrated from there to the United States to be with family when they were in their late 60's. Born at Korsbyn, Laxarby, Älvsborg, Sweden on the 23rd of December 1800, Anders was baptised on Christmas Day. His parents were Sven Olson and Brita Nilsdotter. Anders was just 10 when mother Brita died at the age of 45. When Anders was 25, he married Anna-Maria Andersdotter in Laxarby. This is where the family lived when first son Johannes was born in 1827 and second son Israel in 1829. 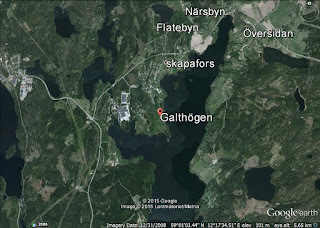 The following year, the family moved to Galthagen, also in Laxarby and the Household Examination Records (Husforhorslzangder) indicates their continued presence there until they moved to Holjerud, Billingsfors in 1863. During those years, the family continued to expand while son Israel left for Norway a couple of times and finally emigrated there in 1854. At first it appeared that only son Israel and his Norwegian wife left for America, but in 1868, Anders, Anna, son Gustaf and daughter Eva Maria also emigrated. All four show up on the list of steerage passengers aboard the "The City of London" that sailed from Liverpool to New York, arriving 25 May 1868. This would have been a rough voyage for anyone but particularly so for a couple of that age. It appears they then joined other extended family members in Lake Mills, Iowa. The Homestead Act of 1862 had opened up land in Iowa and was a popular destination for Scandinavian immigrants. Anders died there on 10 January 1874 and was buried at Winnebago Lutheran Church five days later. Anna was born at Uddevalla, Västra Götaland, Sweden on 10 May 1800 making her just a few months older than the man she would marry in 1826. She gave birth to eight children, the last when she was 45 years old. Although she appears in numerous Swedish records prior to the family's emigration to America, once there she almost vanishes from the records. 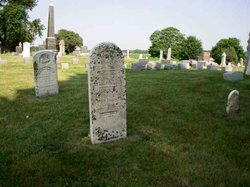 She would have died and been buried at Winnebago Lutheran Church in Iowa along with her husband Anders, but her burial record has not as yet been located. Gunder was born on the 8th of January 1794 and baptized 11 days later at Lier, Buskerud, Norway. He grew up to be a farmer. When he was 29, he married Berthe Olsdatter and had a family with her at Opsal. He survived her by a number of years, dying at the age of 73. By then, the Tranby Kirke had been built and this may be where he is buried. Berthe was born and baptized in early March of 1799 to parents Ole Hanson Opsahl and Christine Sebjornsdatter. She and Gunder had a family of at least 6 children. She died in Lier, Norway at the age of 49. Born 5 January 1788 at Neurak, Treungen, Telemark, Norway, Jorgen was baptised in May of that same year in Kviteseid parish. He next appears living with his parents Torkild Halvorson and Turi Olsdatter at the time of the 1801 census when he was 12. His five siblings, all brothers, ranged in age from 3 to 15; a sister Mari would be born two years later. Father Torkild was a farmer and schoolmaster. 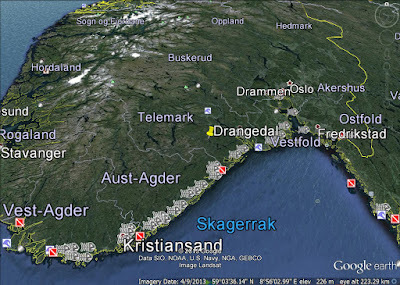 Nissedal clerical district contains records for Nissedal and Treungen and was separated from Kviteseid in 1810. Records occurring after 1810 would be centered at Nissedal Church rather than Kviteseid, but it isn't clear just exactly where the family attended services. Jorgen married at the age of 33 to 19 year-old Birgit Targiesdatter. 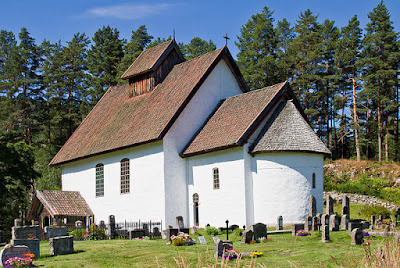 In the Norwegian Farm Book for Nissedal, Telemark, Norway, page 327 he is described as "klokkar" (sextant, parish clerk, bell ringer or deacon) of the church. After 1812, the Lutheran Church required that a duplicate set of church records be maintained by the parish clerk. These were called the klokker bøker. An examination of the one for Nissedal for the period 1820-1840 leads one to conclude that records in this second copy of the church books would have been written by Jorgen in his position as klokker. Indeed, the handwriting is consistent for most of this period but changes abruptly at the beginning of 1839 with the record of Jorgen's death. 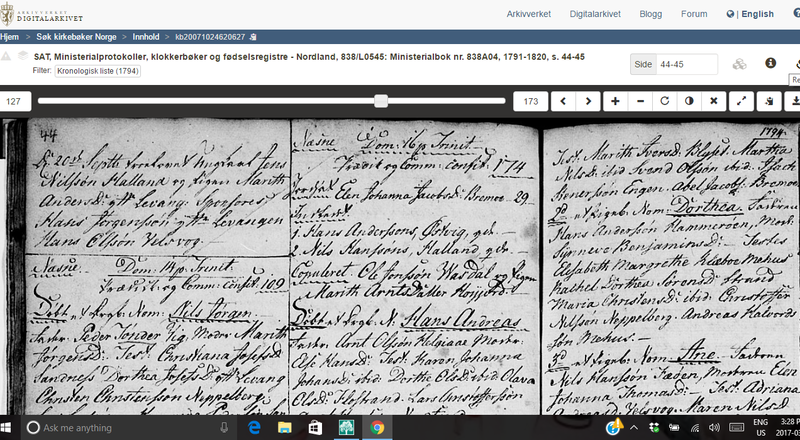 Baptism record for oldest son Torkil Jorgenson 1822, probably in the handwriting of his father Jorgen Torkelson. All of his children seem to have been recorded in the klokker bøker by Jorgen himself. 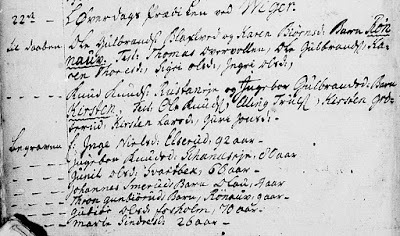 1835 birth and baptism of youngest son Halvor Jorgenson, again probably in the handwriting of father Jorgen. Jorgen died at the age of 50 and was buried on 26 January 1839. Birgit was born in early 1802 and baptized at the Kviteseid Kirke on 24 January of that year. She was confirmed at the church in 1817. Birgit and Jorgen had a family of six children: three sons and three daughters. All three sons emigrated to America in about 1863. Knud was born at Drangedal, Telemark, Norway on 2 July 1788 and baptized 4 days later. The Lutheran church in Norway at the time required baptism within 8 days of a baby's birth. Given that the mother was considered "unclean" for 40 days following delivery of a baby and had to then be reintroduced into church fellowship, mothers including Kari Nottolsdatter Volstad would not have been in attendance at their babies' baptisms. This may explain why mothers are so rarely named in a child's birth and baptism record. When Knud was 27, he married Gro Torgrinsdatter. He died 27 February 1857 at the age of 68 and was buried about a month later. Gro was born and baptized in March of 1791 at Tveitane, Nissedal, Telemark, Norway. She and husband Knud had a family of 6 children, several of whom left for America in about 1862. In the 1865 census, she is living with son Ole Knutsen at Tfedtene ovre. Gro is 77 and "føderaadsenke" which apparently means she is a widow who has given up her estate to her son who now owns the land and is obligated to support her. Her death record refers to Tvedene. Gro lived to the age of 78 years. This is the second of four installments regarding my 32 great great great grandparents. Finding the 32 was a challenge proposed at our local DNA for Genealogy interest group. Part A (John Bardahl ancestors) can be found through this link. My grandmother Louise Nelson Bardahl was born in Minnesota in 1881 and lived to the age of 103, dying in 1985 in Calgary, Alberta. The following is a brief description of her 8 great grandparents in Buskerud, Norway. Despite having a family tree for Louise dating back into the 1400's, very little detail can be found for these 8 people. Probably most were farmers. Most of their lives centered around the Viker Lutheran Church in Norderhov Prestegjeld, Buskerud. Viker church (Viker kirke), a church built in 1702, in Ringerike, Buskerud, Norway. An old stave church had existed in the area since the 15th century but was too small for the congregation's needs by the early 1700's. The baptismal font in the church dates from 1728 and most likely would have been used in the baptisms of this entire group of Louise Nelson's ancestors. 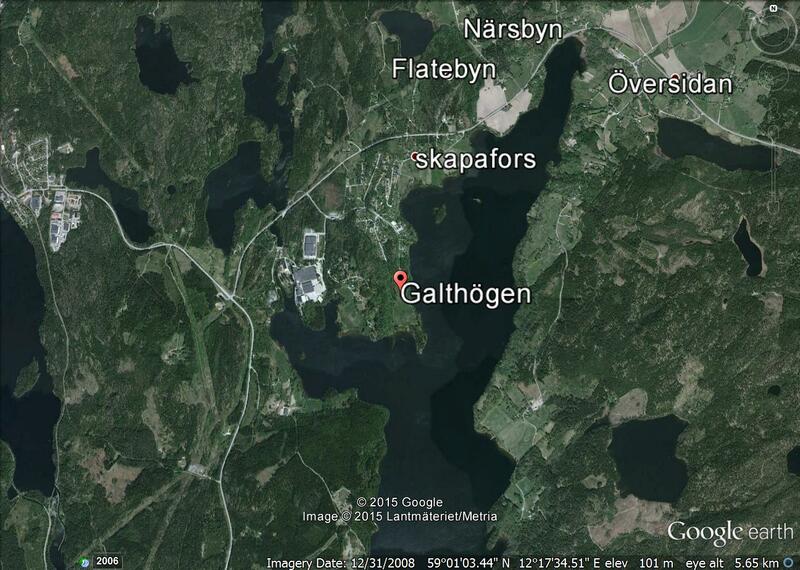 Location of Viker Church in the forested area near Sperillen Lake, Norway. Google Earth image. 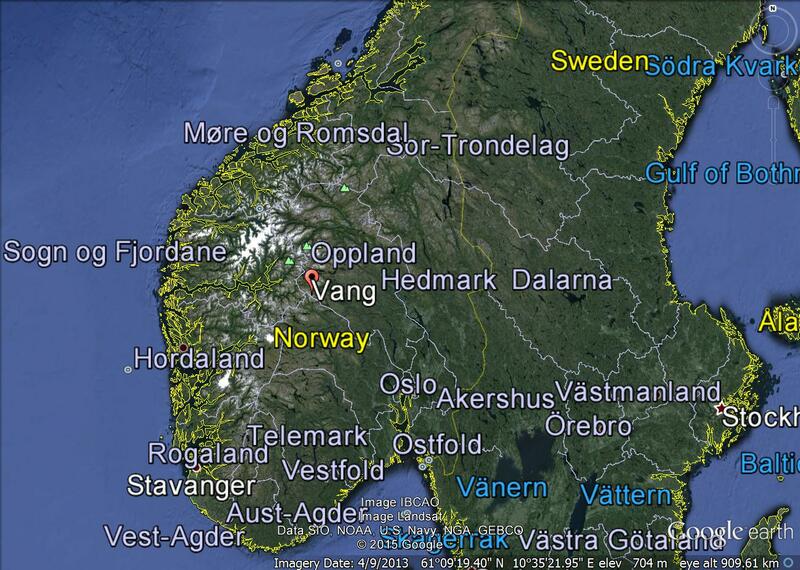 Ole was born about 1782 in Viker, Norderhov, Norway. The banns for Ole's marriage to Beret Olsdatter were published in the Viker church on 2 July 1805 prior to their marriage on 21 July. No other record has as yet been found for either Ole or Beret. Further searches in the Viker church records are required but, without dates to narrow the search, this is like looking for the proverbial needle in a haystack. Lars was born to Niels Larson Skarud and his wife Kjersti Joensdatter Haugerud in Viker, Norderhov, Buskerud, Norway and baptized in the Viker Kirke on 15 September 1776. He was confirmed in the same church on 5 March 1797 at the age of 20. Two years later he married Kirsti Knutsdatter and lived on the Elsrud farm, Adal, Norderhov, Buskerud. The couple had six children born between 1800 and 1815, but lost the first two at or near birth. Not much is known of the others except for our ancestor Guri Larsdatter who was born in 1807 and lived to the age of 93. The most distant ancestor in Louise Nelson's tree is an 11th great grandmother of Lars: Ingebjorg Helgesdatter Frøvoll born about 1458. Kjersti's parents were Knut Knutsen Braaten/rustandeie and his wife Ingeborg Gudbrandsdatter Rustand. She was baptized at Viker Kirke on 22 October 1774, the same day as 7 people were buried there. As distant cousins, Lars and Kirsten descend from two sons of Harald Ostensen Sørum who was born by 1570 and died in 1639. Torger was born about 1766. He married Sonev Nilsdatter (born 1768) on 15 May 1795 and had at least three children with her, including our ancestor Nils Torgerson (1806-1898). 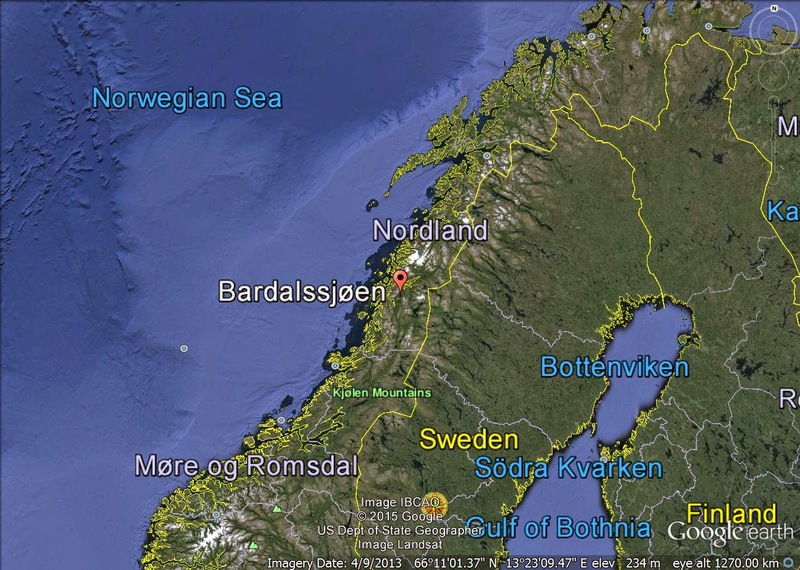 All that is known of Soren and his wife Anne is that they were living at Høle, Norderhov, Buskerud when daughter Olea was born there on Trinity Sunday 5 June 1803. With the number of direct ancestors doubling each generation, we generally have 32 third great grandparents. (I say generally because sometimes cousins marry and conveniently reduce that number.) This summer's challenge from my local DNA genealogy group is to identify all 32 of one's ancestors for this generation. Although stories and details are lacking from that far back, a list of names seems a bit thin to me - I wanted to at least find out when and where they lived and see if any decisions made by their generation have an impact on our lives today. Although this is my "Bardahl" male line, the Norwegian patronymic naming system in use at the time meant that Lars was given the first name of his father with "sen" or "son" added; thus, we know his father's first name was Joen. 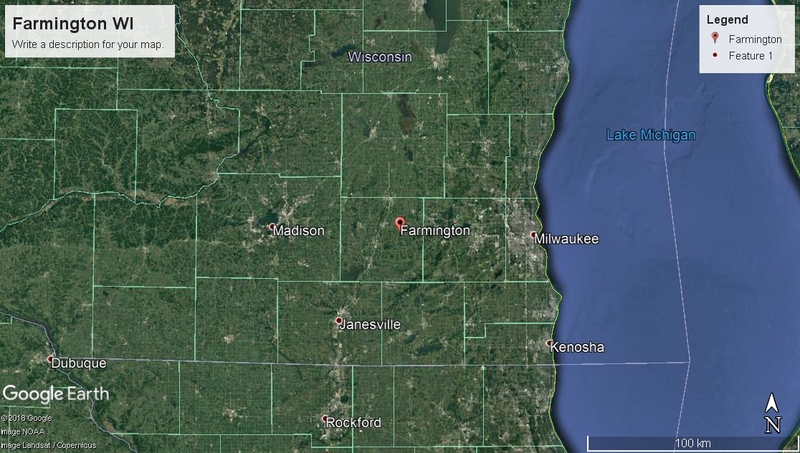 Hellesvig was the name of the "farm" where the family lived and is more of a location identifier than a surname. This branch of the family lived up the west coast of Norway in Nordland. The area they came from included the area now called "Bardalssjoen". Without surnames and locations, it can be difficult to pinpoint relationships. Although census data enable us to know that Lars was born about 1760, there are at least 3 baptism records for the appropriate time and area with sons named Lars being born to fathers named Joen. 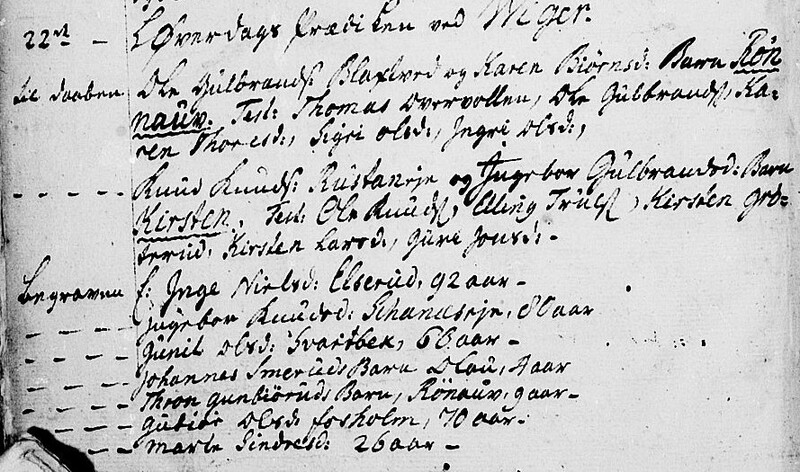 Even though we know that Sarah Andersdatter was Lars's mother, the church baptism records at the time frustratingly did not include the mother's name. Norway may be a feminist's dream today, but that was not always the case! The first record of which we can be certain is his marriage to Marith Christophersdatter on 6 January 1793 in Alstahaug, Nordland. Lars would have been about 33 and Marith 25, fairly typical for the ages for marrying in Norway at this time. Four sons and two daughters were born to them between 1793 and 1807. At the time of the 1801 Norwegian census, Lars was 41 and a farmer. He lived to the age of 85, dying on the Hellesvig farm on 25 April 1845. Marith was born about 1768; so far, no birth or baptism record has been located for her, nor has a Confirmation record. That her father's first name was Christopher is clear, but beyond that we can only guess. The first record located for her is when she married Lars in 1793. The couple would go on to have about a half dozen children between 1793 and 1807 including my 2nd great grandfather John Christian Larsen. Marith died in Alstahaug, Nordland, Norway on the 7 January 1848 at the age of 80. She wasn't buried until 23 April when the ground thawed in the spring. Several others were buried that same day. It must have added another whole layer of anguish for Marith's family and the others who were forced to grieve a second time when the burial couldn't happen until so long after the death of a loved one. Not where Marith is buried! Image from Wikimedia Commons. "Megalith Grave near Vordingborg in Winter"
Ole Johnson was baptized on 31 August 1760 so we can assume he would have been born shortly before that. His father was Joen Olesen and mother was Anne Olsdatter. When he was 29, he married Dordie Nielsdatter and had a son Anders Johan Olesen with her a couple of years later. After Dordie's early death, he married Marith Arntsdatter Hoyjord in 1794 and went on to have several more children with Marith, including my ancestor Olina Olesdatter. When the 1801 Norwegian census was conducted for Naesne, Ole was 41, in his second marriage. Listed next were his his wife Marith, his son Anders and his and Marith's children Arnt, Kirstina Dorothea, and Maren. In 1806 Olina would arrive to complete their family. 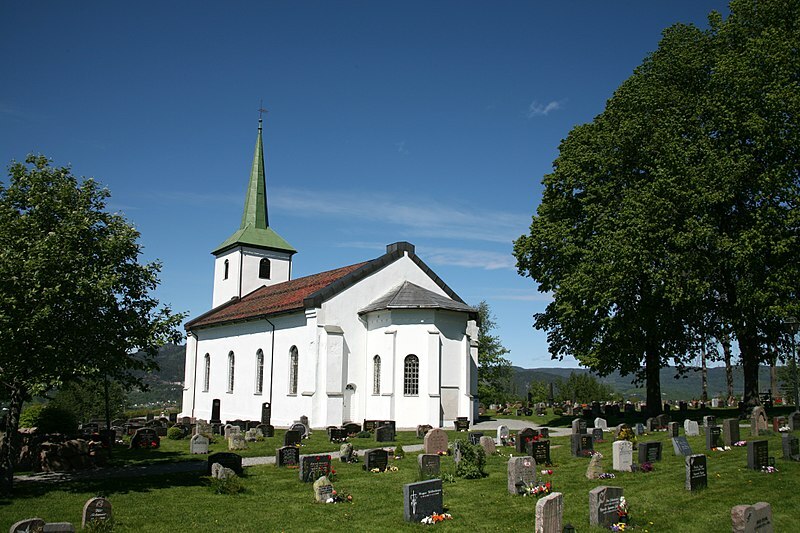 Marith was baptized 2 June 1769 in Nesna, Nordland, Norway. Her father was Arnt Jorgensen but we don't know who her mother is although she bore him at least 3 sons as well as daughter Marith. Marith married widower Ole Olsen in 1794 and became step-mother to his son Anders. In the centre of the page: "Copuleret: Ole Jonson Vasdal og Marith Arnstsdatter Hoyjord"
Death records have not yet been found for either Marith or husband Ole. 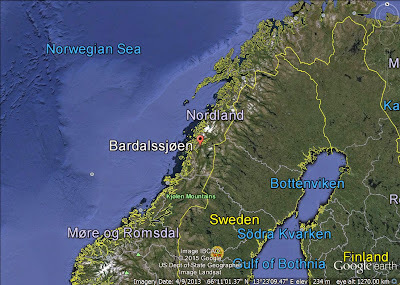 Leaving Nordland, we head to Oppland, Norway for my father's paternal grandmother's line. 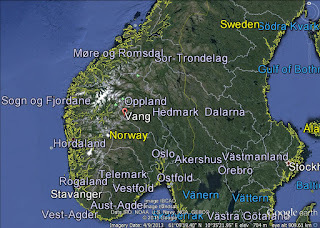 The Eltons came from Vang, Valdres in Oppland, Norway. Andris was part of a long line of male descendants alternating each generation between the patronymic names Andres Erikson and Erik Andreson. It can be very confusing! This Andris was baptized 6 January 1786 and could have been born late 1785 or early 1786. His father was (not surprisingly) Erik Andreson and his mother was Ingebjorg Gulbrandsdatter Uvdal (or Opdahl). The Eltons were farmers at Øye. Andris would grow up to take over the Nordigarden farm at Eltun from 1806-1838. Before his marriage to Tora Ivarsdatter Kjerstein on 8 July 1815 at Øye Kirke , he and Ingebjorg Nolsdtr Lunde had a daughter Ingebjorg (1813-1905). He and Tora went on to have a large family, four of whom died young. Their first-born was my ancestor, named (again, not surprisingly!) Erik Anderson Elton, born 12 January 1817. Erik and his family, along with several other family members, would leave for America in 1854, selling the Elton farm to sister Anne and her husband Iver. 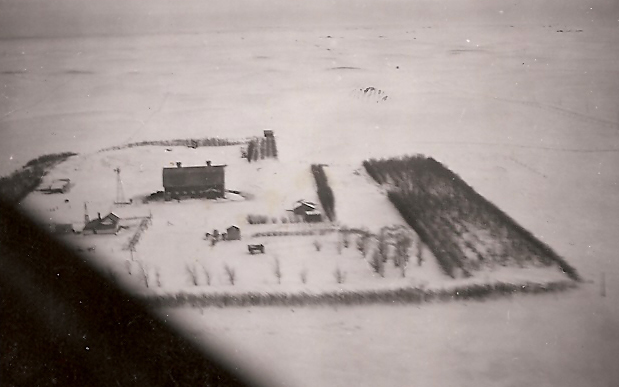 After his wife predeceased him, Andris went to live with his daughter Anne Andersdatter and her husband Iver Torgerson and their family on the Elton family farm. This is where he is found at the time of the 1865 census. Widower Andris died at the age of 83 on 4 May 1869; a funeral was held on the 12th but he wasn't buried until 13 June. The ground must have still been frozen in May of that year as several other burials occurred at Øye Kirke on the same date. Tora was born to Ivar Torsteinsson Kjerstein and his wife Anne Kristoffersdatter Leirol on the Kjerstein farm in the summer of 1794. She was baptised in the local Vang church on the 20th of July that year. When she was 15, she was confirmed as a member of that church. As the Kjerstein farm was only a mile or two from the Elton farm, she must have known her future husband from childhood even though she was about 8 years his junior. Shortly before her 21st birthday, she married him and raised a family of several children. She died at the age of 66 and is buried at Vang. There is no indication that her life ever took her very far from Vang where all the important events of her life occurred. Knud was baptised on the 6th day of 1783 at the same Vang Kirke as shown above. His parents were Endre Knudsen Holien and Sigrid Torsteinsdatter Kjerstein, making Knud a first cousin of Tora (#6 above). He was confirmed in this same church at age 14 and married there at the age of 30 to Synneve Haakonsdatter Kvamme. Knud was a farmer at Øye Annex. He and Synneve had 6 children, the oldest of whom was my ancestor Sigrid (or Sarah) Knudsdatter Holien. It was Sarah and her husband and family who made the move to America in 1854. Knud did not live long enough to see some of his family leave for America. He died at Høle, Øye, Vang, Valdres, Oppland, Norway on 4 December 1840 at the age of 54 and was buried from the same Vang Kirke as where he had been baptised and married. Synneve's family came from Lærdal, Sogn og Fjordane, the adjacent parish and county to ancestors #4-7 who were in Oppland. She was born at Øvre Kvamme, Borgund on 22 August 1791 and baptised on the 23rd of September at the beautiful old Borgund Stave Church. The church would then have been over 500 years old! 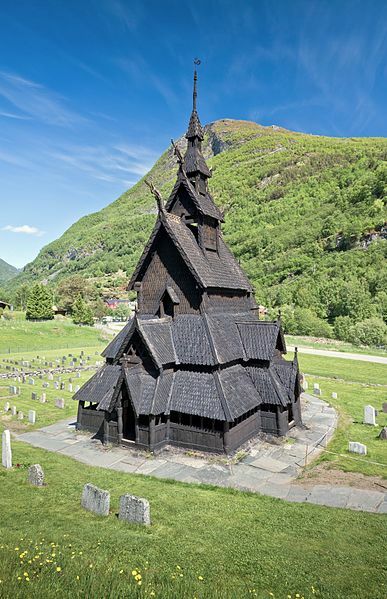 It now houses a museum and is considered to be one of the finest remaining stave churches in Norway. At the age of 22 she moved to nearby Vang in Valdres, Oppland, to marry Knud and raise their family. She lived to see all her children except for eldest son Endre leave for America in the 1850's. With all the emigration at the time, she would have had friends and family who also suffered similar losses, but it must still have been very difficult. Synneve died 7 June 1861. For about 50 years in the first half of the 20th century, many photographs included the front door of John and Louise Bardahl's homestead house in the Leinan/Stewart Valley area of Saskatchewan. The home was occupied by them most of the time until the mid 40's when they moved to Vancouver where John died in 1945. In December of 1947, their son Kenneth married local schoolteacher Elinor Anderson and farmed the land. They had 3 of their 4 children born while they lived there. In 1959, Ken's brother James decided he wanted to farm so Ken and Elinor moved their family to the converted Jorgenson Schoolhouse where Elinor had taught years earlier. Although James only farmed one year, the house was left vacant at that time. Ken and Elinor's son John took over the homestead land and he and wife Pat demolished the old house and made a new home for themselves. Images of the homestead farmhouse door over the years can be found here. I have been an enthusiastic amateur family historian since 1997. I liken genealogy to doing a jigsaw puzzle in which there are no edge pieces and just when you think you're finished, more pieces appear!